A rooftop excursion is a great chance to see the whole city in one tour. The panorama of St. Petersburg from the bird's eye view will give you the most unforgettable impressions and admiration which is nothing to compare with. «ALLTHEROOFS» provides guests from foreign countries a comfortable way to experience a romantic atmosphere of walking on the roofs, so appreciated by the locals. 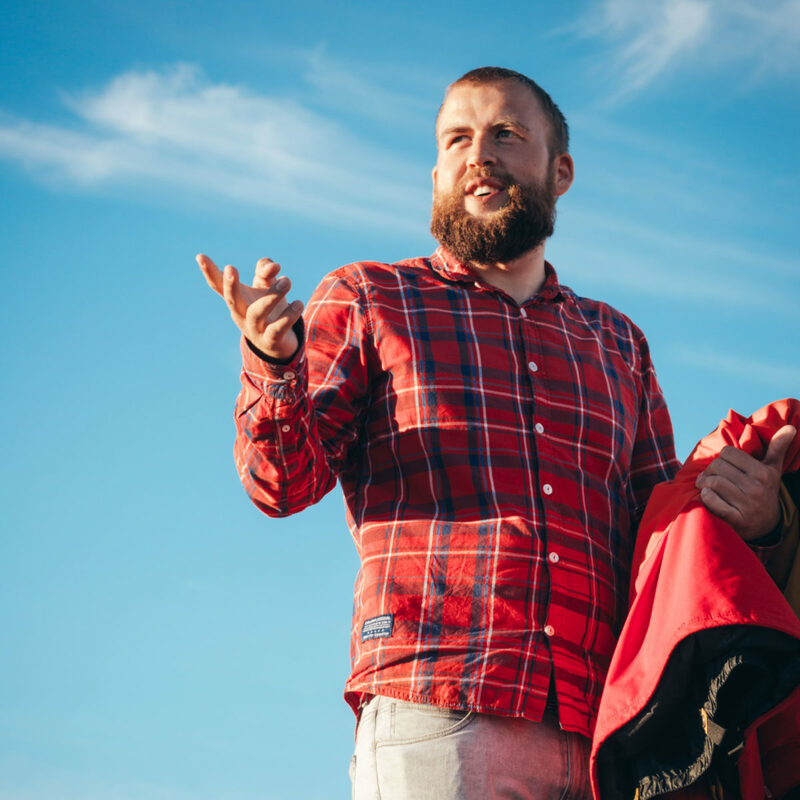 Our english-speaking guides will make your rooftop hiking tour safe and fascinating. The roof tour is a sightseeing tour, where you enjoy open sky and a breathtaking panorama of the city instead of a stuffy bus. «AllTHEROOFS» offers you to get to know the city much closer than you could do it with ordinary tours or a guide-book. 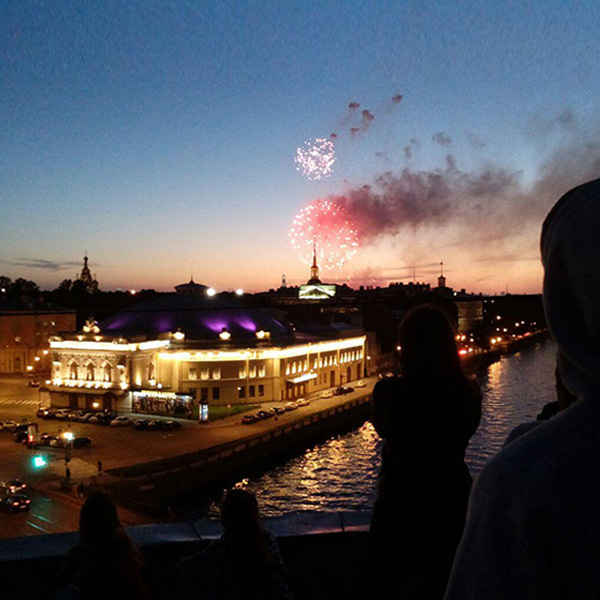 The travel agency «ALLTHEROOFS» unites the successful experience of rooftop tours organization in St.Petersburg since 2010 with a high level of service provided by local guides. We adore our city and we are really proud to share its great history and mysterious secrets with foreign guests of the cultural capital of Russia. Feedback from more than 9 567 of our visitors is the main guarantee and the most important mark of the quality of our work. The excursions on the roofs take place in the historical center of the city. Our guide will meet you in a predetermined place and take you to the top, where the panorama of St. Petersburg with its famous cupolas of Vladimirskaya Church, Savior on Blood, Kazan Cathedral, the spire of the former Admiralty building, the Collonade of St. Isaac's Cathedral and of course the rivers and the canals will burst upon your view. The city is full of secrets and legends. 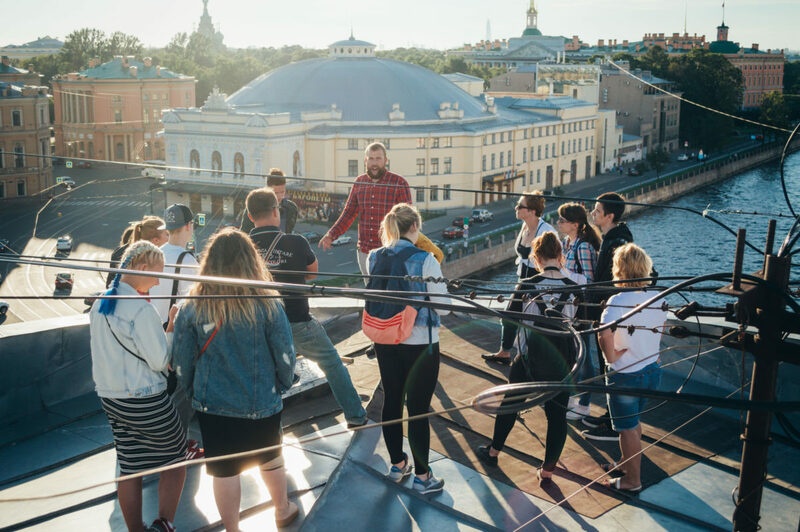 Our guides know all of them.As you enjoe your relaxed walk along the roofs they tell you the stories about the most interesting and exciting events of St. Petersburg's history. The walk takes about an hour, including the time for ascent and descent from the roof. Usually there are 2-10 group members for an excursion. You can also book an individual excursion. Specify this when ordering. The roof is bounded by protective edges. It is not flat and has a slight slope of about 15°. That's why we recommend you to wear comfortable clothes and shoes with a non-slip sole. High heels, alcohol and drugs are strongly forbidden (at least until the end of the tour). Don't be late for the excursion, so as not to delay the rest of the group. Keep in mind that it can be windy on the top. Weather conditions can slightly change the time of the excursion, cancel - never. Nevertheless, if you do not have time or changed your mind for some reason, please report it to the organizer.To order a tour, contact us in any convenient way for you, precise the desired time and number of people. The tour lasts 1 hour. The price is 1200 rubles per person. Night tour with viewing of the drawbridges on rooftop. The price is 2000 rubles per person. Only your group. The price is 1 600 rubles per person. We very carefully collect feedback from our customers. This allows us to always be confident in the quality of our services. Amazing fun of you have a head for heights!! We went on this little tour of a St.Petersburg rooftop. Although we only saw one rooftop, it was quite a large area and each side gave us views of different parts of the city. Our guides we’re really friendly and knowledgeable. It was a bit precarious and scary at times, particularly when you first get up there but it was worth it. The views are stunning and the sense of adventure is great. Would recommend to anyone who is a bit of an adrenaline junky and wants to see the city from a bit of a different angle. Excellent, crazy tour high above St Peter. Wear comfy sneakers and don't be afraid, it looks scarier than it actually is, and the guides know what they are doing. The tour was awesome! Dmitry was an excellent guide his knowledge and love for the city was well shown. I would recommend this tour to anyone coming to St. Petersburg. 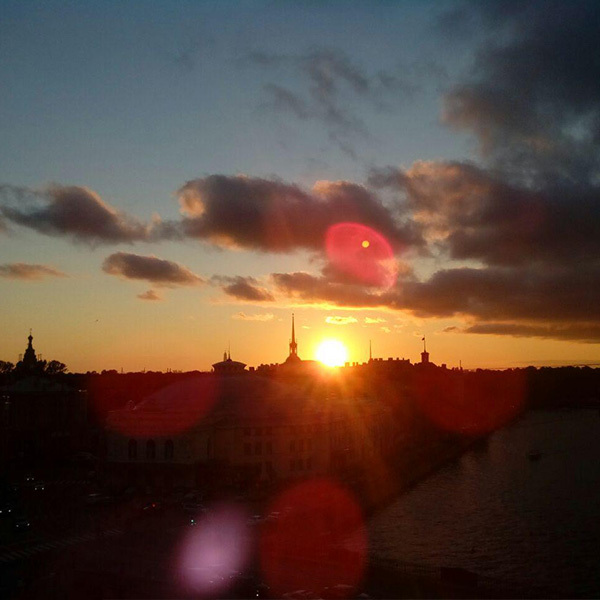 The stories and history you learn make you realize the magnificence of St. Petersburg. Thank you!